Gu Yu teas often present great value and excellent flavor profiles. The bushes have had time to mature a little and the amino acids content has risen to provide full body and lush richness underneath the astringency of the polyphenols. Depending on the rainy season in a particular year these teas may be the best for keeping through the winter until the new harvest is available. Our Yangtze Gorges Green offers us an opportunity to show an example of a solid, well-made, organically grown mao feng tea that should be included in any tea-lover’s tea chest of delicious seasonal tea selections. 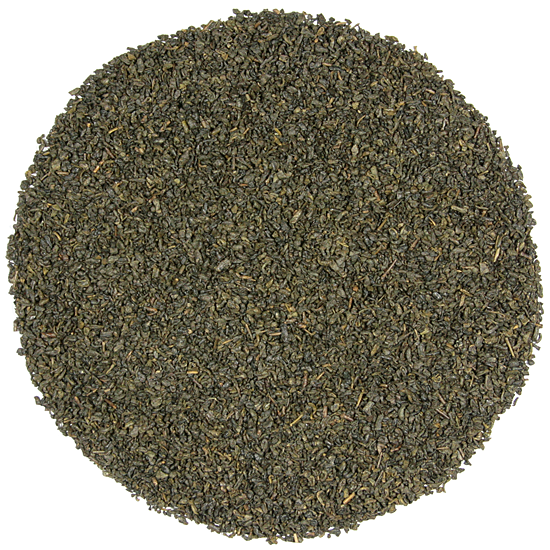 This tea has a bold green tea flavor, a fair amount of chestnut aftertaste and leafy-green aroma. It is well-structured and has a nice balance of body to flavor, and will re-steep numerous times. This tea is easy-to-steep, and is just plain tasty. It is a perfect anytime cup for those who want a well-made, nicely-flavored pick-me-up with no need to fuss over what is happening in the teapot! This tea is considered a Country green tea, not a Famous Tea, and is manufactured to be consistently flavorful and stable. Country greens will hold well and be as flavorful in many months as they are today. There are many green teas that were formerly known as the country greens – that is, a green tea that would hold well throughout the year until the next harvest. Much emphasis has been given lately to the spring green teas – which is appropriate as they are wonderful; however many of them do not keep as well as most of us would like. There are times throughout the year when a great cup of green tea would be very much the tea of choice, but often the tea pantry only has in it well-keeping oxidized leaf and a few ‘starting-to be-tired’ Spring greens. So we enthusiastically continue to embrace the well-made, traditional, country green teas that are hearty and long-keeping to help with this situation. In traditional ‘country-green’ tea manufacture, the leaf is rolled more vigorously and the juices are encouraged on to the surface a bit more than in the process used to produce a lighter, more delicate and elusive spring green tea. This does two things – encourages a bolder and heartier flavor profile and helps provide a longer storage window. We at Tea Trekker are big fans of these traditional country greens – after all, these are the only style of green tea that we could obtain for the first 20 or so years that we sold green tea in our shop back in the mid 70’s to mid 90’s. They are delicious, and while they have always remained popular in Asia; here in the West they have been forgotten to a certain extent. Recently we have seen a revival in interest in these delicious teas, and are happy for that.